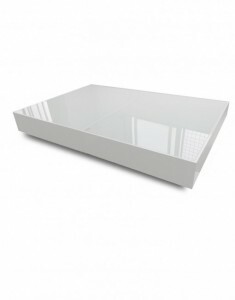 A coffee table is one of those pieces of furniture that you don’t think much about but that actually serves a really important function in your living room and has a huge impact on your overall design aesthetic. The right coffee table can bring the room together and create the atmosphere you want for the space, making it feel more homey and inviting. The right coffee table can also do a whole lot more than serve as a resting place for drinks or books that no one ever reads. The right coffee table can actually convert into a sophisticated dining area on which you’ll feel proud to serve guests. Our convertible glass coffee-dining table is the ultimate in style and functionality. The table starts life as a stylish coffee table. You’ll regularly get compliments on your modern coffee table and field questions about where you got it. The table looks like no other coffee table that you’ve seen: A unique, thick design with a glossy finish in a slate gray that’s perfect for contemporary decor. White glass is also an option for those who prefer a more minimalist look with monochromatic decor. The basic design is a huge departure from most coffee tables, which are either a stained wood or a fabricated finish. 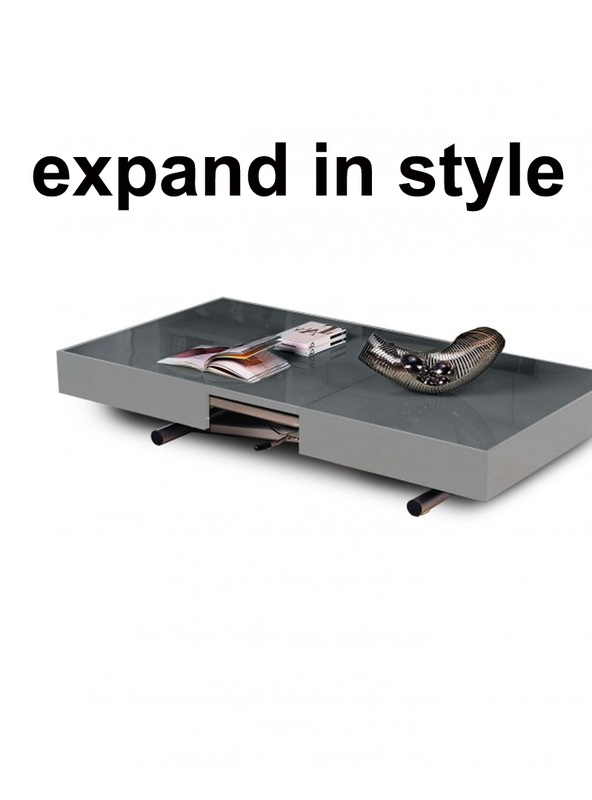 Even the thick box with hidden legs is a departure from the basic table design with the thin surface and spindly legs. Where you’ll really see the difference in this convertible glass dining table is when the coffee table raises up to create a gorgeous space for meals. The glass dining table set is created with the raising of the scissor-type legs, which squeeze together to lift the surface. Think of it the way you would a jack raising a car, except with fewer lifts. With the simple raising of the legs, you will have transformed your stylish coffee table into a stylish dining set. Your convertible glass dining table won’t just be a conversation piece because of its unique style and functionality. The glass dining table set will also help you to make the most efficient use of your space. You don’t have to keep a table in your dining room or kitchen nook for your meals. That table would take up a prime piece of real estate in your home that only gets used a couple of times a day, if that (depending on how frequently you actually sit down and eat meals). Instead, you can free up that space for other uses, such as a home office or an area to work out. You can add cabinets or appliances to your kitchen nook to create more food storage and prep options where the table would have been. 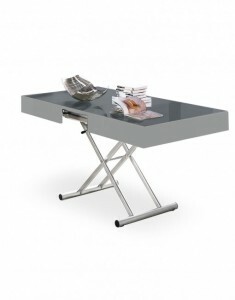 With this space saving table, you don’t have to sacrifice the ability to serve formal meals. When the family is ready to eat together or when you have guests over, you can just convert the table and get out some chairs. The setup is quite convenient because you don’t have to get out a folding table from your closet or rearrange your furniture to set it up. You just lift the table surface, and it doesn’t take up any more floor space than it did as a coffee table. Thanks to the modern design of the convertible glass dining table set, maintenance is minimized. You don’t have to use special wood cleansers or add sealers or other special items to preserve the table. You just need to wipe off any food crumbs or spills with a soft or damp cloth. If you get streaks on the glass, just use a paper towel and a glass cleaner to make the surface shine. There won’t be any repainting, re-staining or sanding to keep the table in top shape. So long as you don’t crack the glass by slamming down a heavy glass or pan on the surface, you will have a beautiful table for decades to come. Only changing styles and trends will make you want to replace it. However, the minimalist design has a timeless look that won’t require replacing. 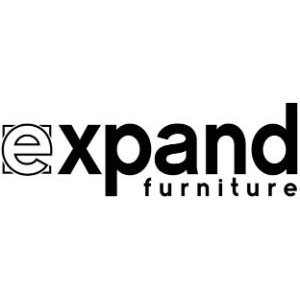 Expand Furniture has an extensive selection of convertible dining tables and other space saving furniture to help you maximize the space in your home while also maintaining a stylish aesthetic. 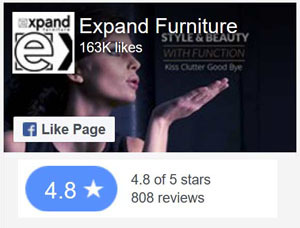 Our quality furniture features a range of finishes so that you can create the look you want, and the superior materials and construction ensure that each piece will have a long life span. 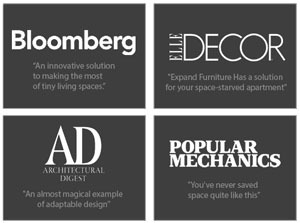 Our selection includes convertible tables such as coffee, sleek side tables, and contemporary dining tables; beautiful wall beds; useful modular storage and shelving units; unobtrustive folding chairs and more. 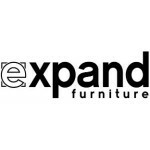 Browse our online catalog or contact us today to find the perfect space saving furniture for your home, no matter the size.